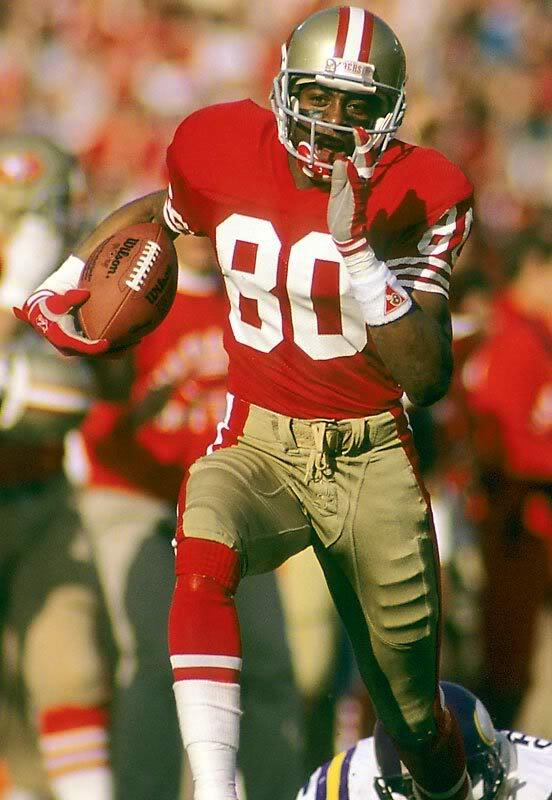 Jerry Rice is a perfect example of speed in the proper context. 6. Slang . a stimulating drug, as caffeine, ephedrine, or especially methamphetamine or amphetamine. Legendary NFL owner Al Davis coined the phrase Speed Kills. Because the long-term demise of the Oakland Raiders can be attributed in part of Davis’ addiction to speed over anything else, there’s no shortage of irony in his statement. However, Davis is just one of many in the NFL whose beliefs and actions indicate that they are intoxicated by speed. It has become the football equivalent of beer goggles. I have been studying college and NFL games 60 hours a week, 8 months a year since 2005 and one of the things I have learned is that speed should not be regarded solely as a physical attribute. The NFL may be one of the most physical games in the world, but the strategic side of the game beyond the quarterback position is overlooked more often than it should. NFL players have to be strong at processing information quickly. They have to understand the roles of their teammates, the tendencies of their opponents, and how to anticipate what is going to happen before the play even begins. They also have to have strong technique that they can execute without thinking about it. There is still a far greater variation physical talent in college football than in the NFL and this is why college teams can dominate with far simpler schemes. Pro football has very little variation in physical talent, which is why a back like Reggie Bush cannot make the same kinds of reversal of field runs with success with the Saints that he did at Southern Cal. Because the strength, speed, and agility gap is so much narrower in the NFL, anticipation, precision, and consistency of technique becomes vital. Take an RB with 4.4 speed in a workout and put him in a situation where he doesn’t have the blocking scheme, offensive verbiage, audibles, or defensive tendencies under his fingers, and he’s going to hesitate because he’s thinking rather than reacting. You can reasonably add between 0.2-1 seconds of hesitation time to that 4.4 workout speed and what you get is a fast player who plays slow. The less knowledgeable and confident a player is with his role the more likely this hesitation time has a compounding effect on his quickness and accuracy of execution and the overall effectiveness of his teammates relying on him. In contrast, a player with strong technique, knowledge of his role, and knowledge of his opponent has little to no hesitation in his execution. This is why there are numerous examples of RBs or WRs with 4.6 speed who can make big plays. NFL Quarterbacks talk about the game “slowing down” after they accumulate a better understanding of the demands of the position in the pros. However, the game doesn’t really slow down, their reaction time speeds up because the confusion with the playbook, technique, and defensive schemes are no longer creating hesitation. This is no different with any other position. Speed is not just a number on a stopwatch. Imbibe those times with moderation. Thanks! I’ll be posting at least weekly and I appreciate it. You can subscribe to the blog and get updates emailed to you if you wish (upper right hand corner to do so).